NEW YORK, April 1, 2019 -- M&T Bank has been named the Founding Bank of The Shed, New York's new arts center dedicated to commissioning, developing and presenting new works across all disciplines, for all audiences. M&T will be the exclusive financial services sponsor. M&T has supported The Shed since the start of the project with crucial bridge financing that helped fund its design, planning, construction, and pre-open operations. M&T along with its subsidiary, the wealth management firm Wilmington Trust has become a multi-year partner providing major ongoing support for The Shed's live performance commissions. Images and renderings of The Shed are here. 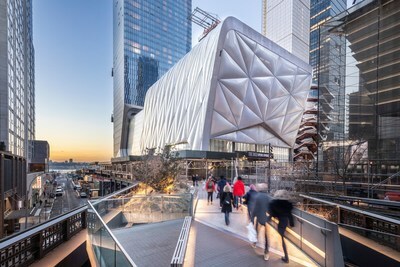 Credit: Diller Scofidio + Renfro, Lead Architect, and Rockwell Group, Collaborating Architect.